SEOUL, Nov. 22 (Yonhap) -- South Korea's government on Thursday conducted a major reshuffle of generals and admirals as part of efforts to enhance its military readiness and facilitate defense reform. 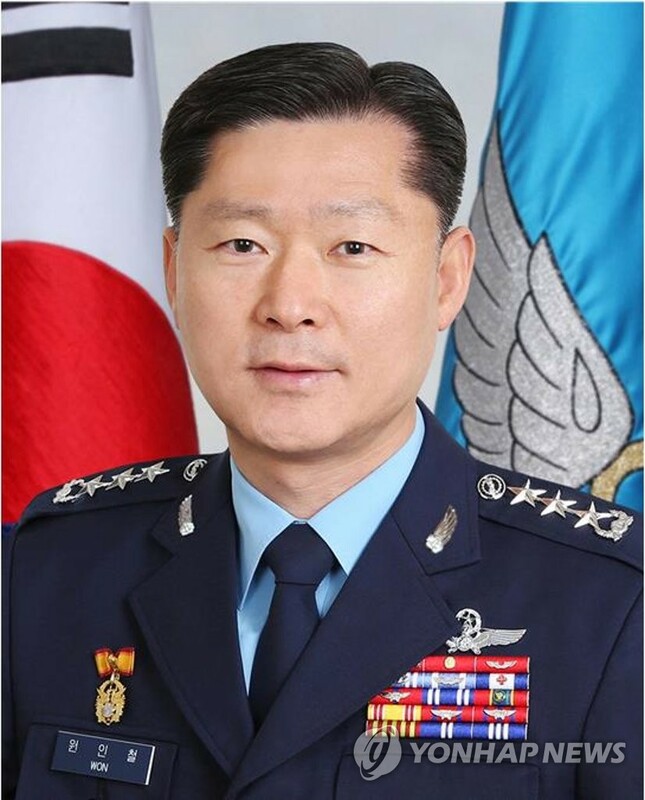 The defense ministry said that Air Force Lt. Gen. Won In-choul, the director of military support at the Joint Chiefs of Staff (JCS), was appointed as deputy JCS chief. Lt. Gen. Choi Byung-hyuk, commander of the Army's 5th Corps, was named the deputy Army chief of staff, while R. Adm. Kwon Heak-min, the ministry's force policy chief, was promoted to vice admiral to serve as the deputy chief of naval operations. Lt. Gen. Hwang Seong-jin, head of the Air Force Academy, was named the deputy Air Force chief of staff, while Maj. Gen. Kim Jung-soo, head of the Army's intelligence operations, was promoted to lieutenant general to lead the Special Warfare Command. R. Adm. Park Ki-kyung, currently in charge of JCS exercise and training, was promoted to vice admiral to take charge of the ROK Fleet Command. "Through the appointments this time, the military will establish a robust mind-set and firm military readiness while maintaining strong discipline and leadership," the ministry said in a press release.